The Open Championship Final Qualifier tees up for the final time in Ayrshire this morning at Gailes Links, just outside Irvine. The Ayrshire course previously known as Glasgow Gailes, has been hosting the Scottish round of final qualifying for the past couple of years since the format was changed. From 2018, it is heading to The Renaissance Club in East Lothian. I found the article quite thought provoking actually and it did remind me that almost all itineraries we did a decade or more ago would include a list of Open Qualifying courses to play alongside the Championship standards. It was most definitely a badge of honour. This article captured it pretty well. Call me a Luddite or maybe just an old romantic but I kind of miss the old qualifying format. Growing up in Ayrshire saw The open being played every five years or so over Troon or Turnberry and the 36 hole qualifying events being held the week before over four local courses in the end these were Kilmarnock Barassie. Western Gailes, Glasgow Gailes (now Gailes LInks and Irvine Bogside and as far as I can recall Lochgreen and Prestwick St Nicholas were also featured on the list. There seemed to be a greater romance about those days when as a junior you would sit waiting to pick up a bag as a caddy for the visiting golfers (I was fortuante enough to qualify with one back at Troon!) and it really was a genuine event before an event with good crowds and real tension and many top players without exemptions looknig for their passport to the main event. Now it's gone all global and after this year's event there will be no more Final Qualifying for Ayrshire at all. Many of the Qualifying Courses across Scotland built their visitor numbers on the cache of being a Final Open Qualifying Course and it is a shame that this has diminshed now. Just some of these great courses included Crail, Ladybank , Leven Links, Lundin Links (St Andrews); Gullane, Kilspindie and Longniddry (Muirfield) and Downfield, Scotscraig and Panmure (Carnoustie). Golfers visiting Scotland could take any (or all!) of the courses in Fife, Angus, East Lothian or Ayrshire that hosted the Final Qualifiers and put together a golfing tour to Scotland that would be both historic and entirely fulfilling. It is a shame that the format has gone but we wish all of the golfers stepping onto the first tee today at the five courses the very best of luck in their quest for the elusive final slots. I'll be heading over to Gailes Links to see if anyone needs a caddy! Who says golf has no appeal for today's youths? Well six young Scottish female golfers are about to savour the opportunity of a lifetime as part of the handover ceremony for The 2019 Solheim Cup coming to Scotland, the Home of Golf – after launching their own bid to qualify for the PING Junior Solheim Cup. 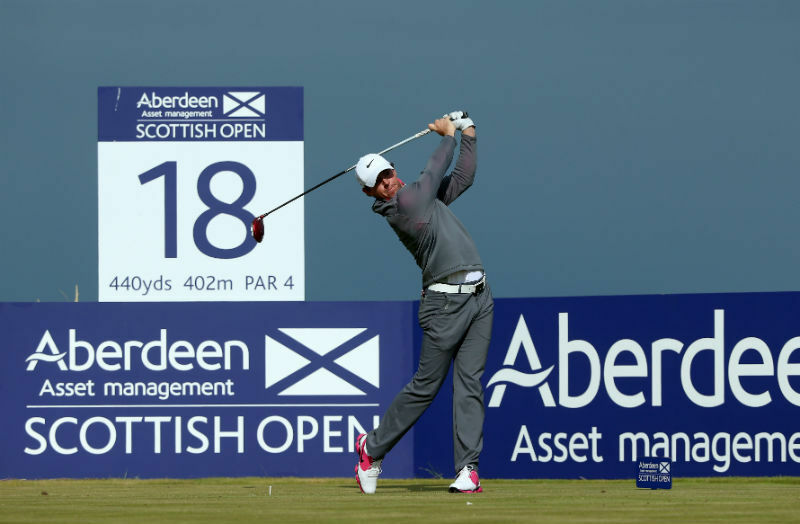 It's been confirmed that Rory McIlroy is set to make a return to Scotland to play at the Aberdeen Asset Scottish Open from July 13th - 16th at Dundonald Links in Ayrshire. He will join a line up of "major" stars including Open Champion Henrik Stenson, 2013 Masters Champion Adam Scott and defending champion Alex Noren when they tee it up at the west coast golf course next month. 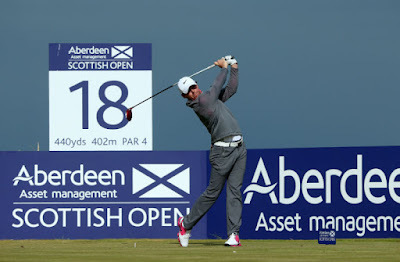 McIlroy’s season has been affected by a rib injury but as he prepares to make his second return from the sidelines this season at the US Open, the World Number Two revealed he has added the Aberdeen Asset Management Scottish Open to his summer schedule. The Northern Irishman had success at the 2014 Scottish Open at Royal Aberdeen finishing tied 14th going on the following week to win his first Open Championship at Royal Liverpool. The Scottish Open is viewed as ideal preparation with four of the last five Open champions having played in the Scottish Open the week before. “I'm going to play Scottish, so I'm going to play Irish, Scottish and The Open,” said the 28 year old. “That’s a great run of three weeks of links golf and will be a great way to get ready for the Open. I’m excited about that run and to be able to play a lot of links golf in that short time frame. “It's great to see someone of the stature of Rory McIlroy choosing to play in the Scottish Open. It is always positive when the stars are seen playing courses that are not normally seen on TV by golfing fans and it will highlight just how good a golf course Dundonald Links is and what a diverse destination Ayrshire itself offers. 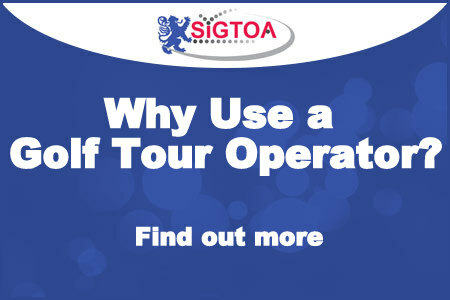 All of our Tour operators have been singing the praises of the links at Dundonald for many years and it is always impressed first time players from across the world. We ourselves offer it as part of a great three day links golf pass which is ideal for visiting golf groups and societies." The Scottish Incoming Golf Tour Operators Association have a new name to work with in the future with the appointment of the first every Chief Executive at Carnoustie Golf Links with the appointment of Michael Wells. As part of an ambitious drive to further its reputation as one of the world’s top golf destinations, Wells joins the Carnoustie team from The R&A in St Andrews, where he was the Director of Championship Staging at The Open. The Open Championship, will return to Carnoustie in July 2018 and SIGTOA are looking forward to both the appointment and the return of the championship to Scotland. 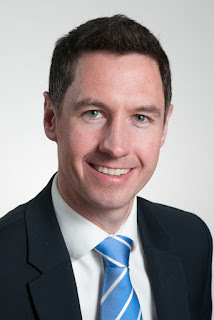 "We'd all like to wish Michael Wells the very best of luck in his new position at Carnoustie and we are all looking forward to helping work with the new CEO in maximising the opportunities for developing the golf travel trade side of the business over the years ahead. Such a high profile appointment is good news for Scottish golf as a whole and reaffirms the importance of the sector to the economy"
He won the post over an impressive field of candidates from all over the world and Carnoustie Chairman, Pat Sawers, said, “Michael has extensive knowledge of all facets of golf administration, particularly in relation to staging major tournaments. Michael Wells already knows Carnoustie Links well. During his time at The R&A, he has been involved in The Open on two previous occasions there, including his first Open in 1999 when Paul Lawrie lifted the famous Claret Jug, and in 2007 when Padraig Harrington won the first of his back-to back victories in the Championship. There were certainly concerns raised at the time about the decision of the R&A to give the contract for live coverage of The Open to Sky Sports over the tradition of the BBC. Whether the argument has been settled or not the level of coverage and style of delivery of The open clearly went up a notch or two at Troon in 2017 and this has been recognised in awards. SkySports’ innovative coverage of The 145th Open at Royal Troon in July 2016 has earned them a BAFTA after being named best sports production during the awards ceremony in London. The Sky Sports team won the award for best sports production for their enhanced coverage of the championships, including the thrilling climax when Henrik Stenson and Phil Mickelson were embroiled in a sensational final-day battle watched by hundreds of millions of people around the world. Paul Bush OBE, Director of Events, said: “This is a tremendous accolade, not only for the team at Sky Sports but for golf in general to have beaten off competition from so many top-class sporting productions. 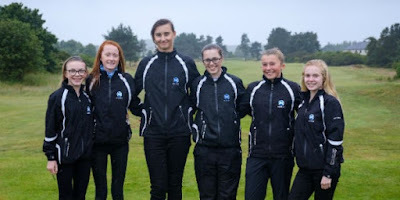 It is also a triumph for the stunning Ayrshire coastline which provided the perfect backdrop for the high-class drama that unfolded on the course. However, we all know that regardless of how good the TV coverage may be there's nothing to beat watching the pros in action in real time whether it be in searing sunshine or from under an oversize golf umbrella! SIGTOA members are already booking ahead for clients for Carnoustie 2018, Portrush in 2019 and of course the return to The Old Course for the 150th anniversary in 2021.